Let's face it. Sometimes we all just need to indulge in a gooey grilled cheese sandwich. Since my favorite comfort foods always involve cheese, I decided to make a slightly fancier version of the original classic using this easy recipe. So, so good. 1.) Heat a non stick skillet over medium heat. 2.) 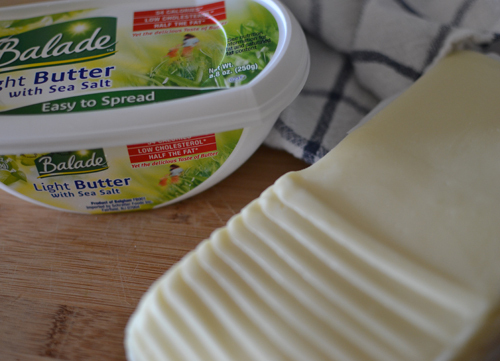 Butter the outside of each slice of bread. 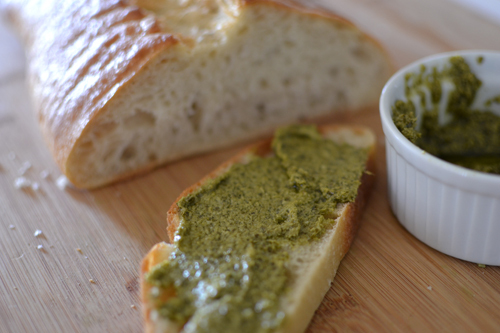 Spread pesto on the inside of each slice of bread. Place cheese slices on top one of the bread slices. Top with the other slice of bread. Sprinkle Parmesan cheese on one side of the sandwich. 3.) Place the sandwich cheese side down in the skillet. Heat for 2 minutes or until the Parmesan cheese is golden brown. Flip and sprinkle Parmesan cheese on the other half. Cook for 2 more minutes or until the cheese inside has melted and the outside is golden brown. Enjoy! Oh, goodness, that looks so good! Oh my goodness this looks amazing! I need to try this asap! this looks insane(in a good way). My mouth is watering. I will for sure be trying this! this looks incredible. I need to make this asap! 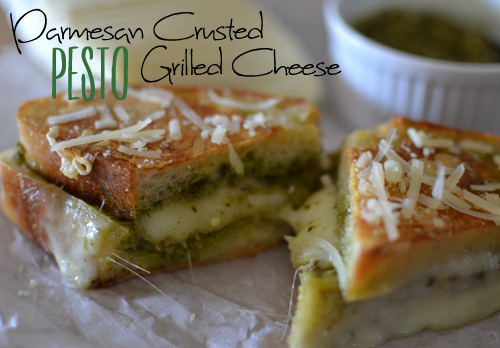 Pesto and cheese - Yum!! Thanks for sharing!!! Of course I would check in to your lovely post when I'm STARVING. It's on- I'm making this and tomato soup. mm mm mm m m m so easy to make! Thanks for sharing, looks DE-LISH! This looks delicious! I will be making this! YUM! This looks amazing, Audrey! 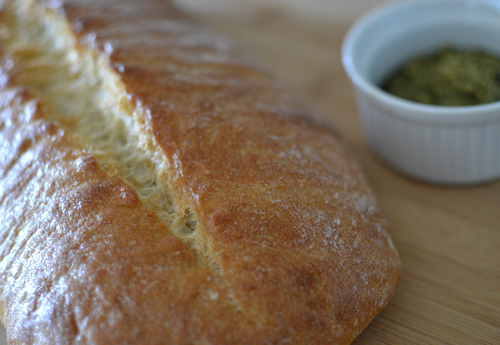 I will definitely be giving this recipe a whirl! Thanks for the inspo!